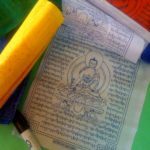 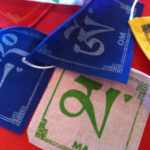 The prayer flags are made by a small business in Kalimpong, India. 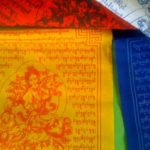 They are printed on cotton for the export market. 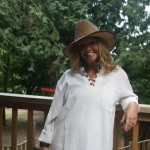 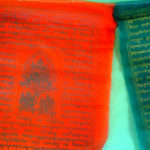 The cotton is thicker, the printing is clearer and they last longer than the traditional synthetic flags. 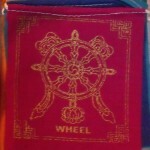 The company is run by three brothers, who have great market sense. 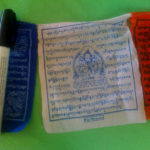 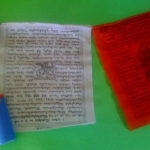 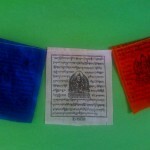 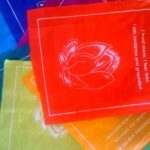 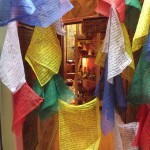 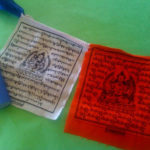 They make sure that their products are attractive and do interesting variations on the basic prayer flags.